It’s said that no good deed goes unpunished. This is especially true when the punisher is an animal abuser with an equally low regard for human life. The Daily News Journal reports that Wilson, age 37, saw a man holding a puppy by the throat and ordered him to stop. The man replied that it was his dog and he would do with as he pleased. He then produced a gun and shot Wilson point blank. The victim was rushed to TriStar StoneCrest Medical Center where he was pronounced dead of a gunshot wound to the chest. The killer, who has been identified by witnesses as 36-year-old Donavous Jerome Drennon, fled the scene in a “newer model” white Chevy Impala away driven by a second man, still unidentified. 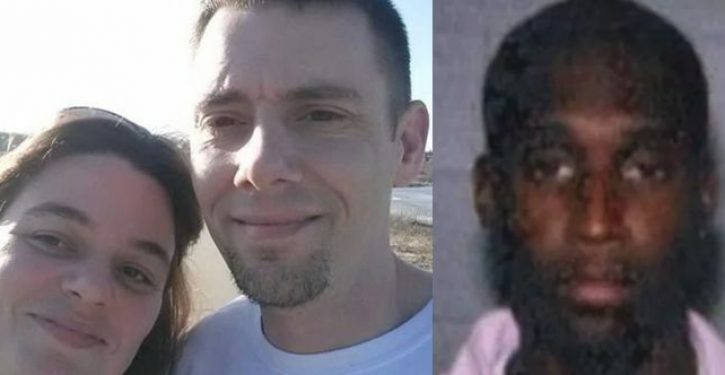 Police advise that both men should be considered armed and dangerous. A criminal homicide warrant has been issued for Drennon.